Solar energy, which is increasingly the cheapest source of electricity is now addressing its’ Achilles heel by combining batteries that can discharge on demand. SolarCity and Tesla have introduced the solar-storage PPA at an affordable rate for member-owned KIUC in Hawaii. Kaua’i Island Utility Cooperative (KIUC) has been at the forefront of the wave of technological change and policy/regulatory reform that’s sweeping across the U.S. and power industry and markets worldwide. Thirty-seven percent of electricity generated on Kaua’i will come from solar, hydro and biomass power generation in 2016, according to KIUC, the only member-owned electric utility in Hawai’i. What’s billed as the U.S.’ first utility-scale solar PV-energy storage system is to be a big contributor. 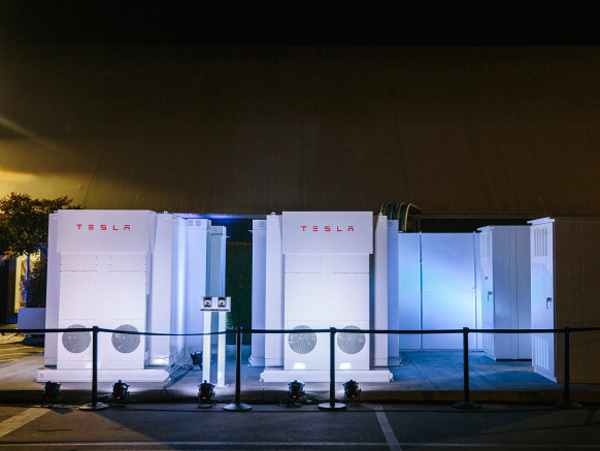 SolarCity on February 16 announced that it had selected sister company Tesla to supply the 13 MW/52 MWh Powerpack lithium-ion (Li-ion) battery-based energy storage solution that will enable solar energy from a PV array to be stored and dispatched to KIUC’s grid to ¨shave¨ peak demand in the evenings from 5-10 pm. More efficient and less costly than relying on natural gas-fired ¨peaker¨ plants, the grid-connected solar-energy storage system will reduce KIUC’s use of imported fossil fuels it had been using to fire diesel generators, thereby cutting costs and lowering greenhouse gas (GHG) emissions. As per the terms of a 20-year power purchase agreement (PPA), KIUC is to pay $0.14/kWh for the emissions-free renewable power SolarCity’s solar-energy storage system dispatches to the grid. That’s ¨only slightly¨more than KIUC pays for clean power from two 12 MW SolarCity PV arrays that aren’t able to dispatch electricity on to the grid in the evenings, management notes. To be built on 52 acres of land owned by Grove Farm Co., the 52 MWh solar-energy storage system is situated adjacent to KIUC’s Kapaia power station just north of Līhu‘e, which will simplify and reduce the cost of grid interconnection. One of 930 electric co-ops serving more than 36 million members in 47 states, KIUC serves 33,000 customers on Kaua’i, Hawai’i’s northwestern-most island with a major population. KIUC currently has 10.5 MW of battery-based power storage capacity on its grid. That includes 6 MW of storage from a Li-ion battery system at the Anahola solar array. The pioneering SolarCity project awaits approval from the Hawai’i Public Utilities Commission, having received most of what’s required at the county and state levels. KIUC and SolarCity have requested an accelerated review process so that construction can commence in April and be in commercial operation by the end of the year. Tesla CEO and chairman of SolarCity Elon Musk is leading a grand strategic vision that entails the two corporations working together very closely to fuel the evolution of a distributed clean energy future for society. SolarCity awarding Tesla the Kauai’i energy storage contract might raise some ethical questions, however.